I would choose Shadow Kiss! Thanks for the giveaway! Thank you so much for doing these giveaways. 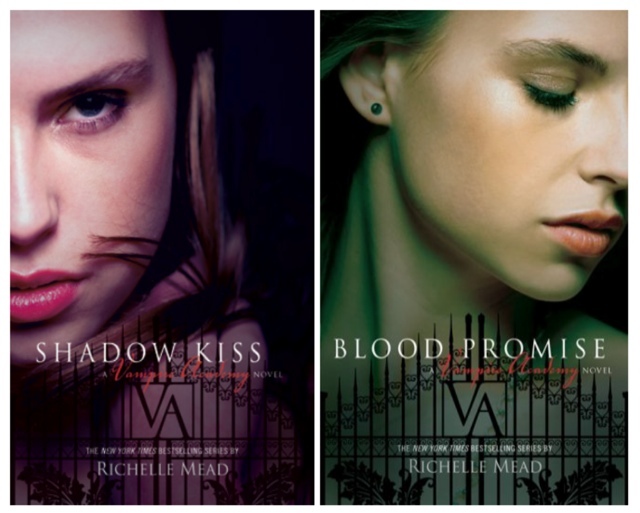 I have the first three books already so I'd love "Blood Promise." I would love either! REALLY!!! I would love shadow kiss!! I would love Blood Promise! I somehow lost my original copy somewhere, maybe I lent it someone and forgot? I think a signed copy would be a very good replacement! I dont know :) Maybe Shadow kiss, but I love both of them! I would be honored to win Shadow Kiss. Thanks for the opportunity to win this amazing book. Either book would be awesome! Ty!! I would love Shadow Kiss!!!! I only have Vampire Academy and Frostbite so I choose Shadow Kiss!!! I wolve to win Shadow Kiss, it's actually the next book I have to read in the series! Thanks so much! blood promise, shadow kiss is too painful! Thanks for the giveaway! I would pick Shadow Kiss. This is wonderful. I Hope to win any or maybe both.. Thank you!!! I would choose Shadow Kiss! Thanks for the chance! I would chose Shadow Kiss! Thank you for the giveaway!